NOTE: Maps are entirely owned by Google Earth and Google. I don't own any of them. 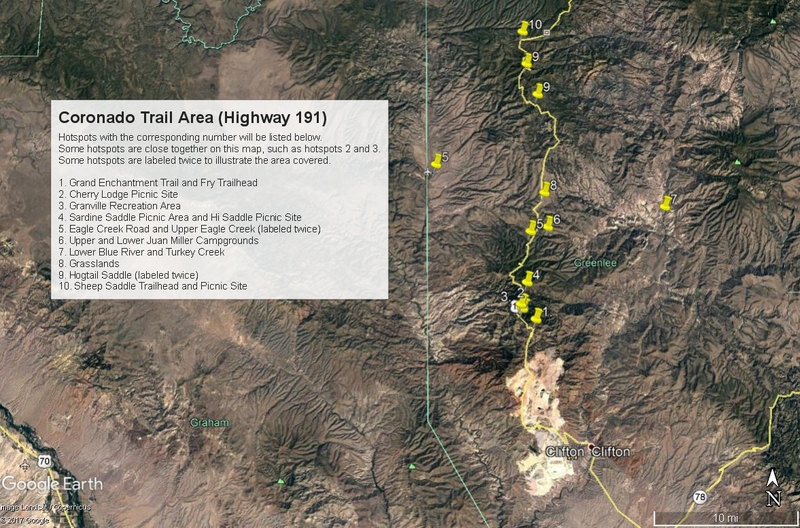 Map # 1: Overview of birding areas within the Coronado Trail Area.